David spotted this at a post office in Belfast. 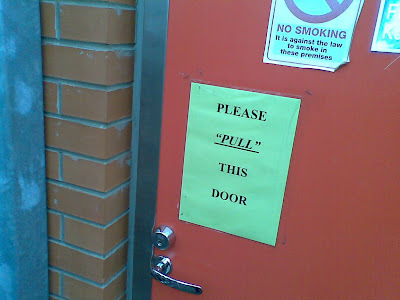 I guess the door has needs, or something. It doesn't look like it's supposed to open toward us. Maybe they mean "pull it all the way closed, so it clicks."